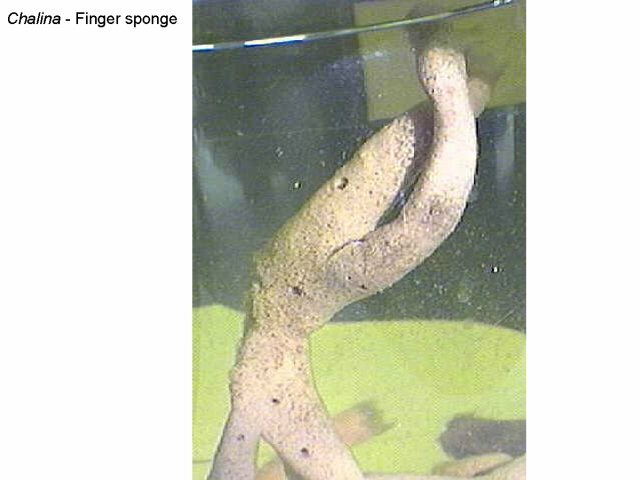 There are two phyla of sponges: Calcarea and Silicea. 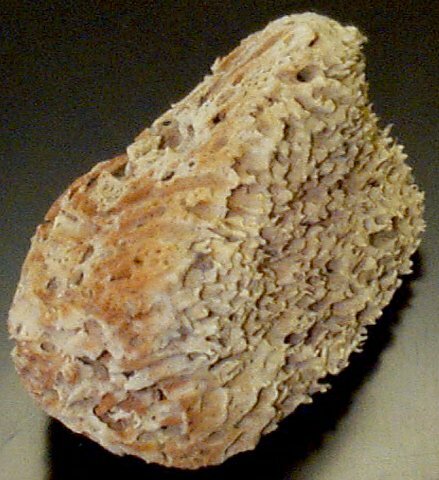 Examine preserved sponges on display. 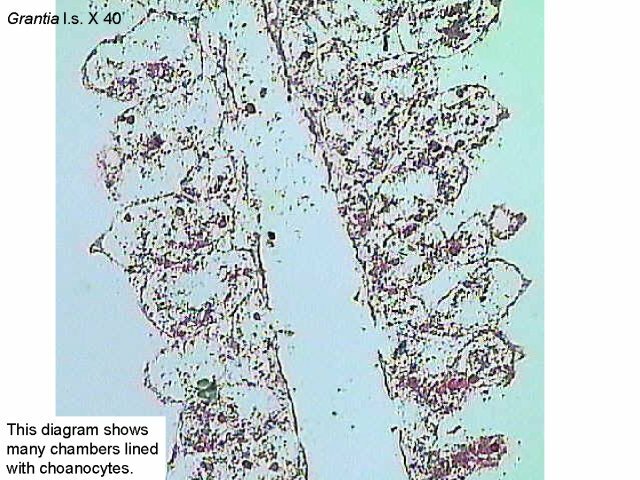 Identify the osculum. Can you see pores? Some of these specimens are shown below. The photographs below are of Grantia. The body of this species is highly folded producing many chambers. In the last two photographs, the living cells have been removed to reveal the spicules. Examine the following prepared slides: Grantia c.s.and Grantia l.s. 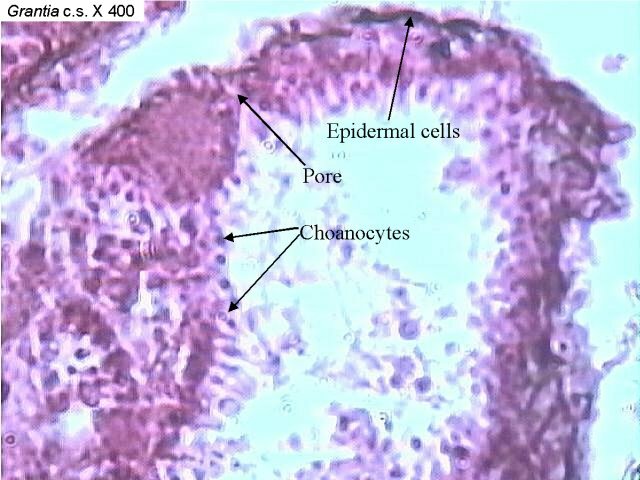 Find collar cells, epidermal cells, and pores. What is the function of the collar cells? What is the function of the pores? 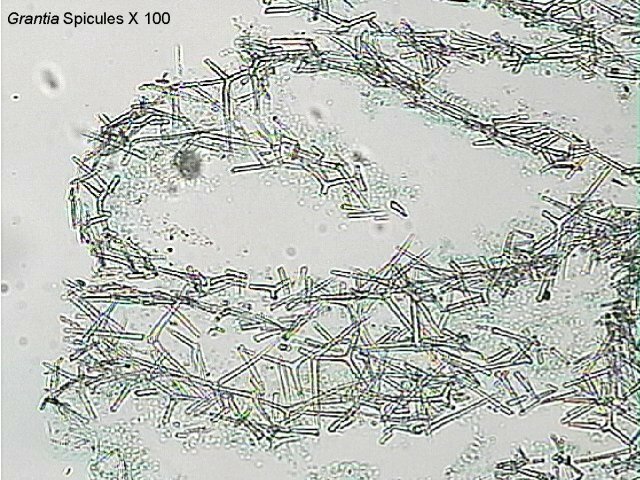 Examine a slide of Grantia spicules. 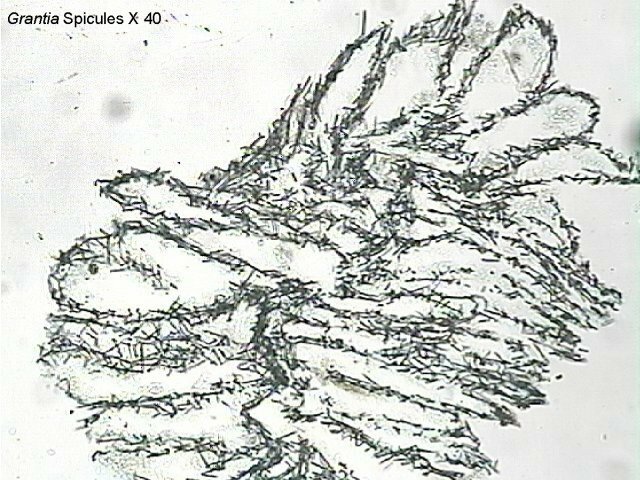 What is the function of the spicules? 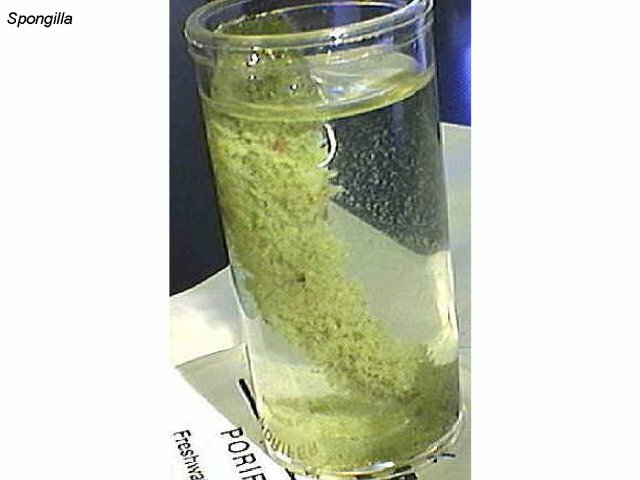 Spicules are needle-like structures composed of either calcium carbonate or silica and offer support and protection.